Video conferencing is something that has come a long way from specialized codec's requiring dedicated connections and lines to today where everyone has video conferencing capabilities in their pocket. Enabling meeting spaces with video conferencing abilities today is akin to putting a whiteboard in a conference room 15 years ago, it's something necessary and expected in today's environment. 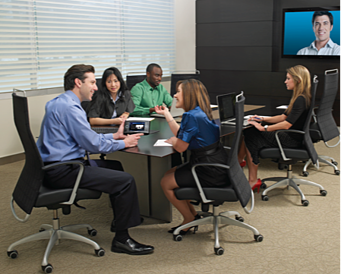 You can still set up a huddle room or conference room with a dedicated video conferencing codec. However, with the advent of soft-conferencing solutions like Zoom, Skype, Microsoft Teams, WebEx, GoToMeeting, and others, we see companies building their meeting spaces and embracing a culture of "bring your own device." By doing this, users have the freedom to chose a soft conferencing system of their choice. We're increasingly more mobile and not wanting to be tied down by wires in today's world. 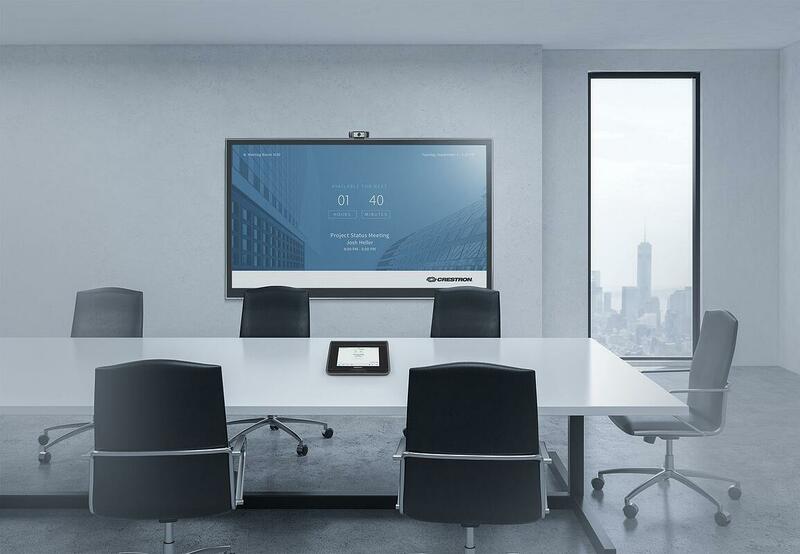 There is a variety of professional grade, secure solutions that allow anyone to walk into a room and connect their device wirelessly to the rooms presentation equipment. Some of these solutions work as simply as connecting across the existing wireless network to allowing guests who may not be on the wifi to connect via a simple USB puck and button. Whatever the environment, there is a wireless video connection solution that will work for your users, let us help you find it. Projection systems typically consist of both a projector and a screen. 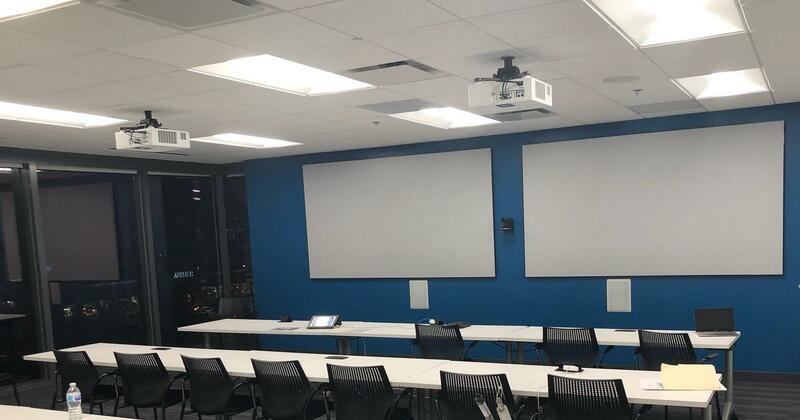 The system is an excellent solution for large spaces like conference rooms or auditoriums where a video wall or large format flat panel display may be cost prohibitive. Projectors are getting brighter and more cost-effective, while replacement lamps are getting less expensive or completely non-existent. Many newer projectors today have a laser light source that offers a similar life span to a flat panel display. These laser projectors sometimes cost a bit more upfront but require essentially no maintenance costs with no lamps to purchase and replace. Video walls include several flat panel displays arranged together to display one image across several screens. This type of solution pairs with a video processor and allows one single source or multiple sources to be displayed on the wall. 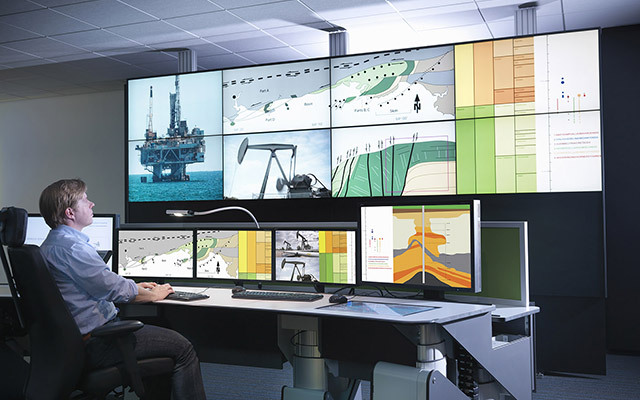 We see video walls in a variety of applications, from command and control to large open spaces where a single flat-panel display is not large enough, and a projector and screen is not desirable. While any display could be used for a video wall application, we recommend a display that's built for this application with a minimal bezel (the part around the outside of the screen) so that you have minimal interruptions to the image shown. We're in the digital age where everything is touch responsive. How we interact with content on large format displays is changing as well. 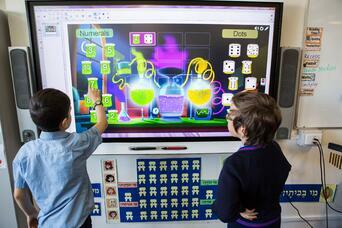 Flat panels have become more cost-effective, and so has the interactive counterpart. We see interactive displays as the primary choice in a classroom, a way to make digital signage content more engaging, and enabling easy distance collaboration throughout a range of industries. Over the years, we've seen large format flat panel technology move from the first plasma displays to LED-backlit LCD panels. As technology advances, large format flat panel displays are becoming more affordable. Therefore there are now so many more applications for flat panel displays as a central core component to most audio-visual systems. Whether it’s a front-of-room display for a conference room or classroom to a confidence monitor or secondary display in an auditorium, the efficiency of a large format flat panel display is an excellent route to go.